Paytm Marvel Movie Pass Offer : Purchase Paytm Marvel Movie Pass for 4 Person worth Rs.1200 at just Rs.349. Paytm Marvel Movie Pass for 4 persons' entitles the user for 2 movies within 180 days after the purchase date. Use your unique code to get 100% Cashback upto Rs 150 on the each ticket price for max 4 tickets. So in short total 2 Movie for 4 Persons = 8 Tickets * Rs.150 cashback = Rs.1200 Cashback. Its a super duper deal for those who love marvels movies. Get your pass now! Paytm Marvel Movie Pass Offer - What Is Paytm Offer on Marvel Movie Pass? What is Paytm Offer on Marvel Movie Pass? How to Redeem the Marvel movie Paytm offer? Who isn’t fond of Marvel movies? From Doctor Strange and Black Panther to Ant-Man and Guardians of the Galaxy, everyone loves watching Marvel Studios movies and eagerly wait for their new movies. Soon two chapters of the Marvel world are going to hit the theatres - Captain Marvel and Avengers: End Game. If you don’t want to miss any of these movies, avail the Paytm Marvel Pass cashback offer right away. Under the Paytm Marvel Movie Pass offer, users can win 100% cashback on their movie tickets. If you are a fan of superhero movies, don’t miss this interesting Marvel movie offer on the Paytm platform. Paytm is offering movie passes of Captain Marvel and Avengers: End Game at the highest discount. One can avail 100% Paytm Marvel movie discount, maximum up to Rs. 200, on single, couple and family passes. Here you will get all the details regarding Paytm Marvel movie offer. A user can avail the irresistible Paytm Marvel movie offer for one person at just Rs. 149 only. On every booking, users will get 100% cash back, maximum up to Rs. 200. This Paytm Marvel movie pass for 1 person is valid on a maximum of one movie per day and two movies within 180 days from the date of purchase. If you have a movie buddy, avail the Paytm Marvel movie couple pass offer and save maximum Rs. 200 on bookings. To purchase the Marvel movie passes for 2, you have to spend only Rs. 399. This Paytm Marvel movie pass for 2 people is valid on a maximum of one movie per day and two movies within 180 days from the date of purchase. You and your friends would not find any better deal on Marvel movies than Paytm Marvel movie offer. On purchasing Marvel movie passes for 4 people, you can earn 100% cash back on movie tickets. Under the Paytm Marvel movie discount offer, you will save a maximum Rs. 200. This Paytm Marvel movie pass for 4 people is valid on a maximum of one movie per day and two movies within 180 days from the date of purchase. First of all, you have to buy the movie passes on the Paytm platform. You will receive the Movie passcode via email or SMS at the registered email address and phone number. To use the Movie passcode, select the given link. It will redirect you to the Paytm platform. Select the movie, show times, and prefered seats. Apply the Paytm coupon code to avail the cash back at the checkout page. A user has to use the received unique passcode to avail 100% cash back on the Marvel movie tickets. The maximum Paytm Marvel movie discount is limited to Rs. 200. With the Paytm Marvel movie pass, users can watch any of the two Marvel movies within 180 days from the date of the purchased passes. Under the offer, the user can watch only one movie per day. The offer is valid on cinema available on Paytm in PAN India. 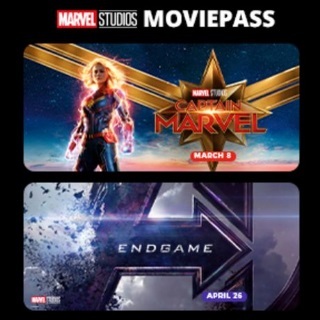 The movie pass is valid only on Avengers: End Game and Captain Marvel movies. One cannot transfer the Paytm movie pass to any other person. In addition, the Paytm movie pass can be used by a registered user only. The Paytm Marvel Movie Pass offer is valid till July 2019. The movie tickets are subject to availability. Users will receive the unique passcode via email or SMS post purchase of the Paytm Marvel movie deal. The offer is valid on movie tickets booking done on the Paytm app or website. The cashback amount will get credited to the user’s Paytm account within 48 hours from the time of booking movie tickets. In case of ticket cancellation, the passcode usage against cancelled tickets will be considered as used and hence, cannot be applied again. 3D glasses, convenience fees or any applicable taxes are not included in the offer. Paytm reserves the right to modify/change/alter the terms and conditions or discontinue the campaign without prior notice or specific reason at any time, at its sole discretion. The cashback amount will be credited to only verified user’s account.